During the Open Space on Drupal and Education I scribbled some rough notes as folks introduced themselves and outlined their interest in the broad topic. 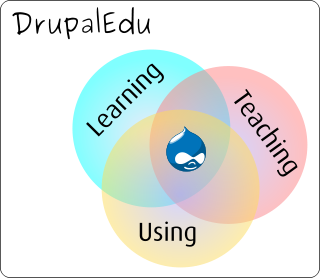 Distilling that interest into its purest essence, I'dsay that Drupal in Education is about Learning Drupal, Teaching Drupal and Using Drupal to support Teaching and Learning. Peter Jones introduced himself by saying he'd been a nurse for 40 years, and was now engaged in teaching clinical skills. He's started using Drupal to support his work on the Hodges Health Care Domains Model. This prompted me to think of TPACK - Technological, Pedagogical and Content Knowledge - and the intersection of different areas of knowledge - and those folk who develop expertise in the intersections really have a lot to offer and learn from each other. Peter also raised the importance of tracking student understanding - again, something portfolios are successfully addressing. Next up was Justin, also from Ecobee - who wanted to explore learning Drupal - how to learn, where to start? He said in the past when he needed to pick up a new language he picked up the thickest book he could find and read it from cover to cover, and whilst not a perfect method it did give him enough knowledge to know how to continue his self-learning journey. There's nothing like this for Drupal, and Drupal is too vast for this approach. Nevertheless roadmaps are required to guide self-learners. There are a lot of resources on line, but this is fragmented. Videos, books, projects such as the Kata and Dojo, training being provided by Drupal shops such as NodeOne, Previous Next, Chapter Three, Lullabot, Four Kitchens and by Acquia itself. Consensus emerged there really is a need to have a clear starting point. 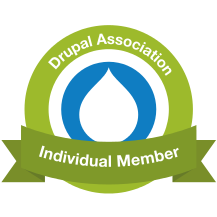 What are the foundation skills required for learning how to use Drupal, and what should you learn first? Later in the conference, Diana Dupuis from Four Kitchens presented beautifully her ideas on the key madskillz needed by a Drupalista. Heather James and Dominik Lukes also delivered a session during the conference outlining their background research on this very problem, and the start of a solution. Check out the recording of "How do you know that gal knows Drupal?" But back to the Open Space session - Ian Lynch of INGOTs fame spoke about their experience in getting the INGOTs certification process accepted in the UK and EU, and the importance of a recognised certification or qualification in formal education. Steven James and Jason Pamental from Schoolyard are working directly on delivering Drupal sites to K-12 schools in the US. Jason also told us about Schoology - a great web app for teachers, built with Drupal. "Learn Together" is their slogan. Carl Hinton from Tanzania works with Public Zone, sadly my notes are sketchy here, I've just written down charities and Moodle. Phillip from a University Student Union highlighted the reality of using Drupal at the coalface - the real issues around using Drupal, learning how to use it, and the real benefits it offers the student cohort. Chris was a freelance graphic designer, and has been working on Transition hubs. Then we heard from Mieke and Ifung spoke briefly about the Learning Drupal meetups in London. 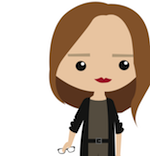 Victoria from the European Bioinformatics Institute is doing great things with Drupal and shared insights from the considerable research process her team went through to choose Drupal for their mission. Her experience as a classroom teacher, and web developer really showed. I'm looking forward to learning more about what they're doing, and how they got there. They evaluated Moodle and Atutor - and even though Drupal isn't a learning management system, it rose to the top to solve their issues. Will Hall is a freelancer, interested in education issues, learning Drupal, and working on an LMS type solution. Nick Abbot from i-Kos is a Drupal trainer with years of classroom experience and was keen to explore strategic marketing of Drupal to managers and decision makers in the education sector. Eric Ludwig, director of learning services at Acquia also popped in to see what was going on. Florian / Florence - something? I can't read my own handwriting said he'd just finished working with an apprentice and was soon to start mentoring two more. This is an important, tried and tested way to gain skills, should we be looking at this further? I think so. And a couple of people joined us later - I'm kicking myself I didn't write down their names. Before pausing for lunch we broke up into smaller discussions. I heard more from Ian Lynch on the progress of INGOTs and success in the European framework, and then sat at the "LMS" table. From that discussion, two action items emerged. One - to identify the current state of play - what available distributions are already targetting education, what are the common components, and really identify the problem we are trying to solve. Which led me to suggest we need a catalogue of online pedagogies. But, more on that another time, when I've had a chance to do some basic research.